Bega Cheese has made a takeover offer for Australian grown peanut supplier, the Peanut Company of Australia. 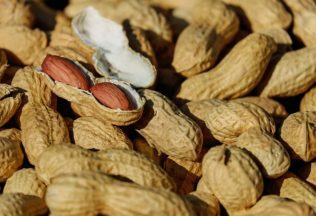 Under a placement agreement, Bega will subscribe for 19.99 per cent of the issued shares of the Peanut Company of Australia (PCA) for AUD $1.9 million. Under a bid implementation agreement, and after issue of the placement shares, Bega will make an AUD $10 million unconditional takeover bid to acquire all the issued shares of PCA not held by Bega. Located in Kingaroy Queensland, PCA has been supplying Australian grown peanuts, both locally and internationally, for over 90 years. PCA is also recognised globally for its peanut research and development program. Bega Executive Chairman, Barry Irvin, said the acquisition of PCA will help grow the supply of Australian grown peanuts for the manufacture of peanut butter at Bega’s newly acquired Port Melbourne factory, formerly used to produce Kraft peanut butter. “We have plans to increase the domestic supply of peanuts by working with farmers to expand peanut plantings and product,” Irvin said. The bid is an unconditional cash offer. PCA said its Board unanimously recommends PCA shareholders accept the bid. “Bega’s acquisition of PCA will ensure continued Australian ownership of the iconic peanut business,” PCA said. An Adelaide café is the first in Australia to install an EpiPen station for diners with allergies. Woolworths is now the official supermarket and fresh food partner of Netball Australia.